Made from peanuts, sesame, five spice powder and cake flour, Husband Cake is popular in Macau. 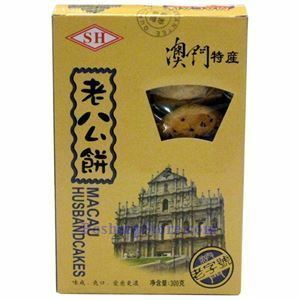 The story behind the Husband Cake is not as well-established as the Wife Cake. Pack Size: 10.5 oz or 300g.